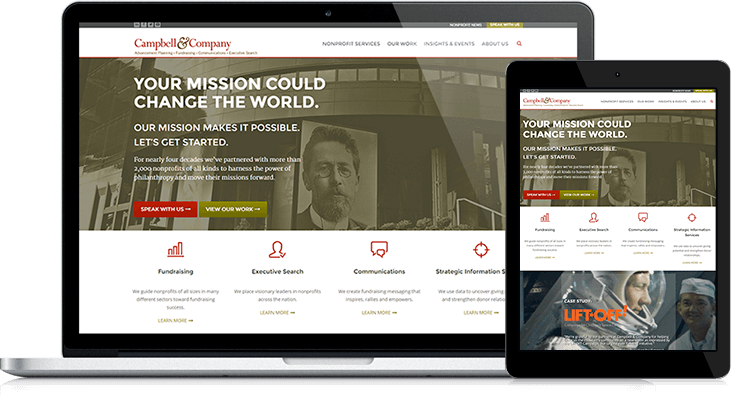 Campbell and Company is a nonprofit consulting firm offering services ranging from marketing assistance to fundraising and strategic planning. Campbell has an impressive list of experience across a range of sectors, helping nonprofits thrive. Campbell and Company is thrilled with the new website. The templates is a better representation of their brand and are able to collect more leads - whether that user is browsing from a desktop, tablet or phone.